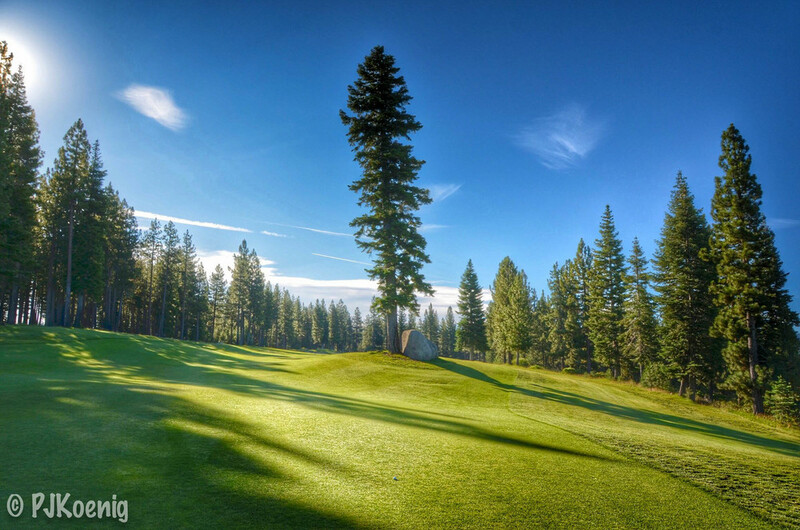 Coyote Moon Golf Club - Truckee, CA — PJKoenig Golf Photography PJKoenig Golf Photography - Golf Photos For Those Who Love The Game. Coyote Moon is a great track nestled in the Tahoe National Forest. I would rank the course as the 2nd best option in the area for the public golfer. Designed by Brad Bell, Coyote Moon does a fantastic job of taking advantage of Tahoe's natural environment. There are no houses to be seen on the course which gives each hole a tranquil feel. You will find plenty of wildlife, plenty of trees, and with any luck, plenty of birdies. Amongst many other great holes, the 13th stands out as a drastically downhill par 3 that plays 2-3 clubs shorter because of the elevation change. Coyote Moon is one of those courses that after finishing up on the 18th, you are compelled to head back to the 1st tee for more.